Dating back to the Mayan Indians and the Aztecs, this farming method is known as aquaponics, and is one of the most sustainable food production systems known today. 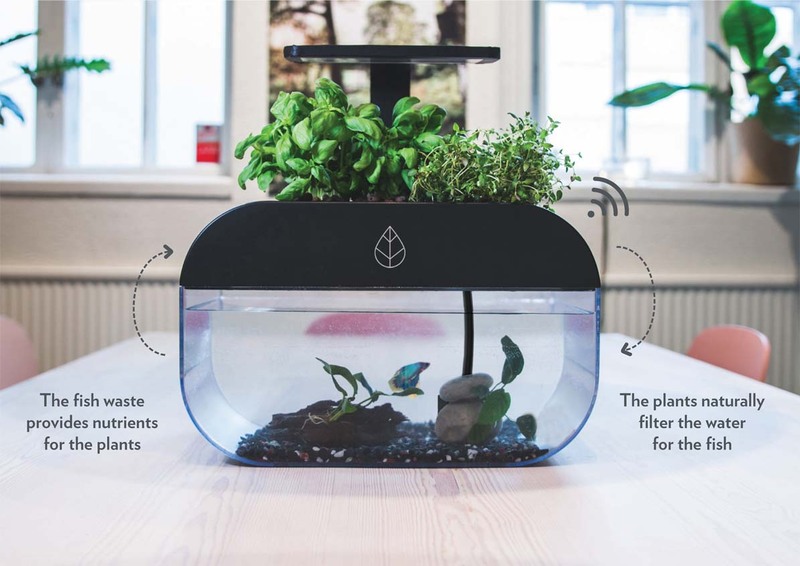 Ecobloom modernizes this farming method with the EcoGarden. Sustainable, natural, and simply amazing! Using aquaponics brings various benefits. The six most important ones are highlighted below. Aquaponics uses up to 95% less water than traditional farming methods. Increased productivity can be achieved through growth with higher yields. No soil is required, since the plants grow in gravel or clay pallets. Completely organic and sustainable, no pesticides are used in the process. The plants and fish take care of each other, creating a self-sustaining environment. Growing aquaponically is 2 times faster than traditional farming methods. Up to 95% more water efficient. The roots of the plants absorb the nutrients and filter the water for the fish. Creating a self-sustaining ecosystem where both benefit from each other. And stay up to date about the latest developments!